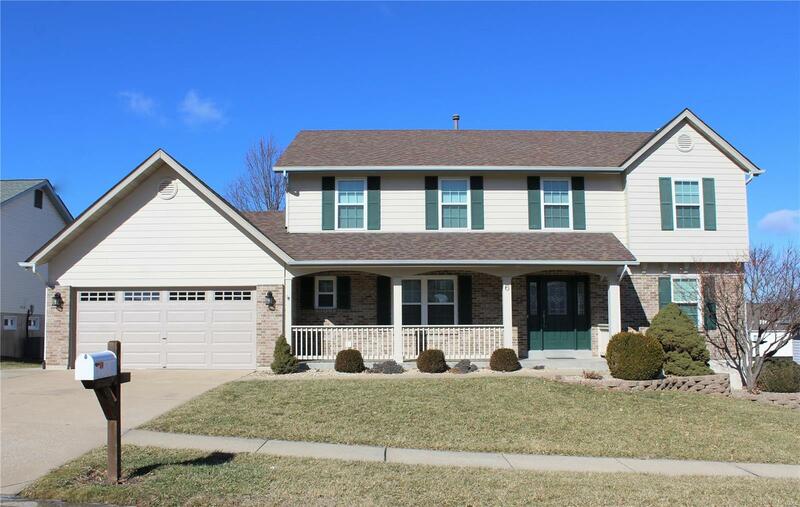 Immaculately kept 5 bed 4 bth BEAUTIUL 2-story w over 3,500 sf of living space! Move in ready home has more amenities than can be listed. Gorgeous hardwood flooring thru/out main level. Spacious grt rm w gas f/p, bay, butlers pantry w/sink, sep. den/office, din rm, and laundry area all featured on main level. Bright and airy eat in kitchen offers granite counter tops, oversized center island, gas range, wainscoting, travertine backsplash, and walk out to back deck. Upstairs find the gorgeous mstr w oversized ensuite, sep shower and tub, double vanities and xl walk in closet along w 3 more spacious bdrms w walk in closets & ceiling fans. Walk out l/l offers an incredible rec rm, large 5th bdrm, full bath and lots of storage. *DONâT FORGET to check out the amazing WORK SHOP, MAN CAVE, bonus rm off of the garage! * Roof 2017 Newer flooring, windows, HVAC system, paint and more! Utility shed, oversized gorgeous yard, cul de sac, meticulous maintenance records and more! MUST COME SEE! Copyright 2019, Mid America Regional Information Systems, Inc.(MARIS). All rights reserved. Alexander Realty does not display the entire IDX database of Mid America Regional Information Systems, Inc. (MARIS MLS) on this web site. Property listings of some REALTOR® brokerage firms have been excluded. Listings displaying the MARIS logo are courtesy of the participants of Mid America Regional Information Systems Internet Data Exchange. Information provided deemed to be reliable but is not guaranteed to be accurate. Buyers are advised to verify all facts before making a decision on purchasing a property. No warranties, expressed or implied, are provided for the data herein, or for their use or interpretation by the user. Mid America Regional information Systems, Inc. (MARIS) will not be held responsibility for the content of such records. Last Updated On: 2019-04-19.